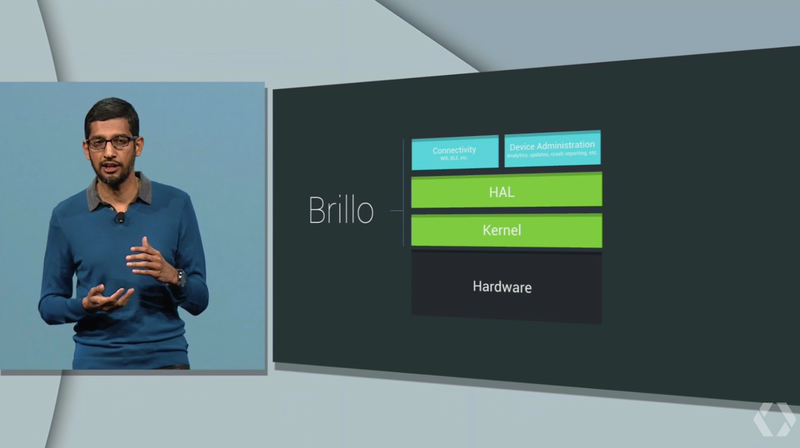 Today on Google I/O 2015 event company announced the first operating system for Internet of Things which is named as - Brillo. Brillo is derived from Android old version and can run on minimal system requirements and offers a protocol for synchronizing devices called ‘Weave’. Brillo is compatible with the almost all devices. It is going to available in Q3 of 2015.